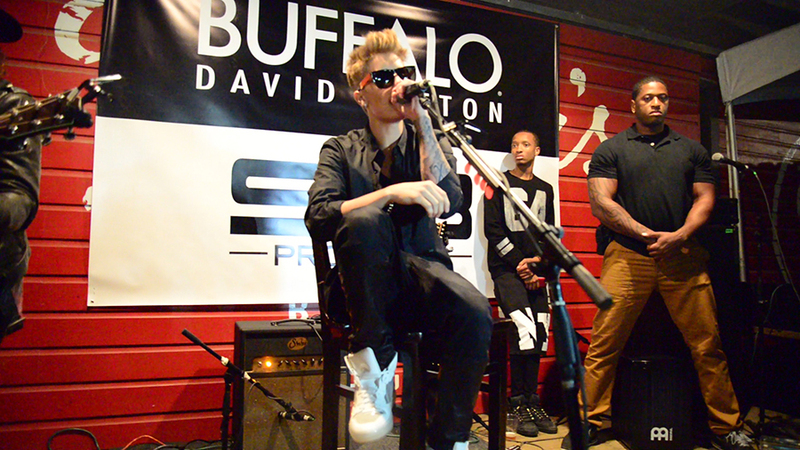 The Biebs at the “Sunday Funday Showcase” at SXSW . 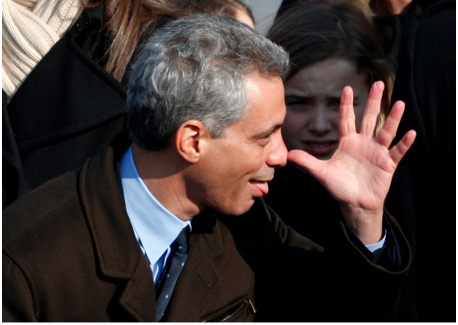 The mayor reacts to ethics charges about Lollapalooza throwing him a fundraiser . Complaining about the overwhelming taint of the corporate weasels at South by Southwest is not unlike complaining about the winter we’ve just endured in Chicago: Yeah, it’s worse this year than any I can remember, but grousing about it is pointless and doesn’t change anything. It’s simply something we must endure. So let me get all of that off my chest right now, before devoting the rest of the coverage from my 21st annual trip to the largest gathering of the music industry in the world to the part of that phrase that always matters to me most: the music. The Texas capital has long since reached and surpassed the saturation point, with the infrastructure of hotels, restaurants, cabs—heck, even the surface streets!—no longer able to sustain the combined crush of so many hipsters, users, and hangers-on: musicians, filmmakers, and the off-the-scales obnoxious “digital entrepreneurs.” The vast majority of the many Texas friends I’ve made over the years now flee Austin the way Col. Travis should have gotten the heck out of the Alamo, before it was too late, and only returning once the enemy moved on. The week began with a Justin Bieber showcase and will climax with a keynote and performance by Lady Gaga, in between the concurrent iTunes Festival offering fellow cutting-edge, independent-minded up-and-comers such as Coldplay, Soundgarden, Keith Urban, and Imagine Dragons. And, more unctuous and far less likable than any of those acts, Mayor Rahm Emanuel came to town to, in the words of his propaganda machine, tout Chicago artists and attract more of those digital dollars—though in an unusually hard-hitting piece in The Chicago Tribune last weekend, we learned the real reason for his Spring Break sojourn. Doesn’t this blatantly contradict the executive order Rahm signed forgoing political contributions from city contractors, the Tribune asked? Said mayoral spokeswoman Sarah Hamilton: The rule does not apply because C3 Presents has its deal with the Park District, not the city per se, implying that the mayor has no control over the parks administration which he appoints. Yes, and if you believe that, let me also assure you that not a one of the hundreds of thousands of gung-ho revelers here in Texas at the moment will overindulge over the next few days on tacos, tequila, or Lone Star beer. My personal survive-and-thrive strategy for SXSW over the last few years that it’s gotten so out of control has been to zig where most others zag, generally going in the opposite direction of the hype and the crowds. And with that in mind, I’m off now to see a band from Sydney, Australia called the Preatures. Wish me luck.